All gas boilers today are Condensing,this means they are highly efficient and if you replace your existing boiler with a condensing boiler you could save up to 30 % on your fuel bills. 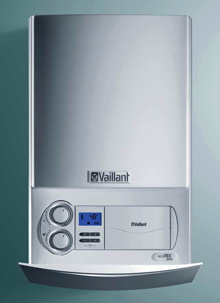 Not only will you save money with a Condensing boiler but your new boiler will hugely increase the performance of your existing heating and hot water system. If you currently have a heating and hot water system that has a hot water tank in the airing cupboard and water storage tanks in the loft then you have what we call a Regular Boiler. These are the most popular condensing boilers and will give you the most energy saving and a huge improvement in system performance. Condensing combi boilers are normally installed with wireless heating controls giving you great control and energy saving on your heating while also allowing for instant on demand hot water. A condensing system boiler will allow you to keep your existing hot water tank and system while converting your gravity heating system to a pressurised system.This will increase the performance of the heating system. M A T Heating have the professional experience to offer the correct advice and answer all of your questions about your new boiler installation and will not be beaten on price or quality. All of our Worcester Bosch gas boiler installations come with an 10 Year Guarantee that covers both parts and labour. Please contact us for more details or to arrange a quote at a time and day to suit you.